CALLING ALL THE LADIES! Laura is hosting a Girls Get Gritty event at the shop on Friday, March 22nd. Join us for a fun evening of getting gritty, with a little grace!! 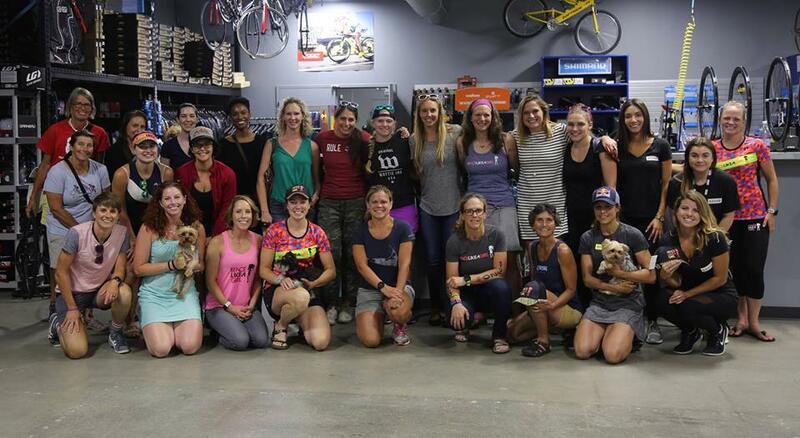 We’ll be going over some basic bike maintenance (tire changes), and enjoy an evening with the iracelikeagirl local team members! We will have light refreshments available during the event as well! Are you in the market for new wetsuit? Or does your suit need an upgrade? Sunday, April 9th is your opportunity to try the 2017 TYR Wetsuit collection on….AND go for a swim in them! That’s right, we are taking over the Dorchester Family YMCA pool along with our representative from TYR, and letting you try the suits on and test them out. While we had hoped that the Choptank River would be warm enough for a quick dip, it doesn’t look like the water temperatures will be safe for us to demo the suits outside. We will have use of the pool from 11:00am – 2:00pm. Light refreshments will be offered under the TriCycle and Run tent just outside the pool in the YMCA parking lot. We will also bring some of our closeout swimskins and triathlon apparel for you to shop! If you decide that one of the TYR suits is for you, Laura will be taking orders and payments right there at the YMCA. Shipping options can be discussed in detail with her at the event. SPECIAL DISCOUNTS offered for all participants in the event! There is also an opportunity to join some of the local athletes in the area for a quick bike ride before the demo event begins. For further details about the group ride or the demo event, please feel free to email Laura at info@tricycleandrun.com. We are so excited to bring this event to you, our local triathlon community! Stay tuned for more similar events in the near future!